Anyway, I also want to experiment with the temperature at 375° instead of the current 350° to see if the center can get done a little bit faster so the outside edges don't bake too long. 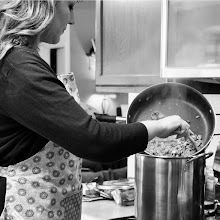 No matter what, it's very easy and simply scrumptious! If you want you can use a yellow cake mix instead. 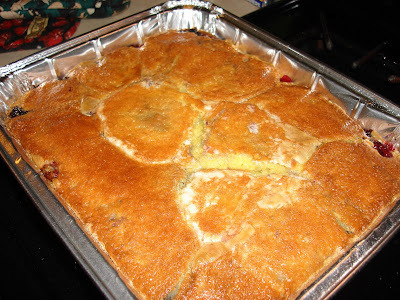 You can also use fresh berries...and it's really yummy when you can find fresh rhubarb, about 4 cups, in place of the berries. But, I will list it how I traditionally make it below. Make cake mix according to package directions. Pour batter in lightly greased pan. 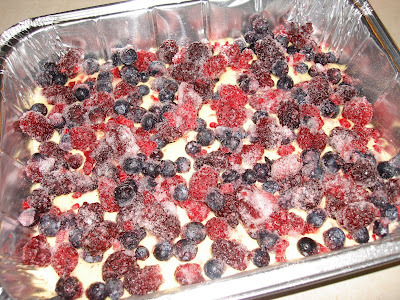 Sprinkle berries evenly over the top of the batter. 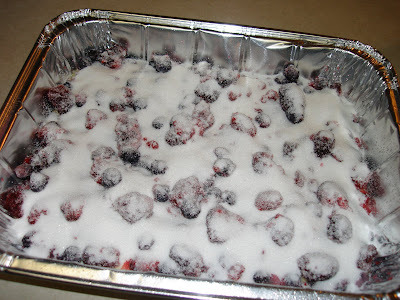 Sprinkle the sugar evenly over the berries. 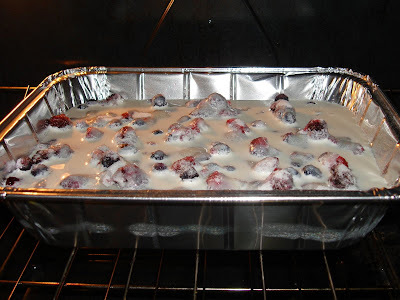 Pour the cream evenly over the top and without stirring place directly in pre-heated 350° oven. Bake for between 1 hour to 1 hour and 15 minutes, depending on your oven. Cake is done when center is mostly set. Remove from oven and let it sit for about 10 minutes before serving. 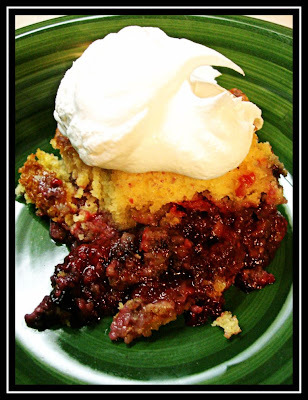 Great with whipped cream or vanilla ice cream on top.